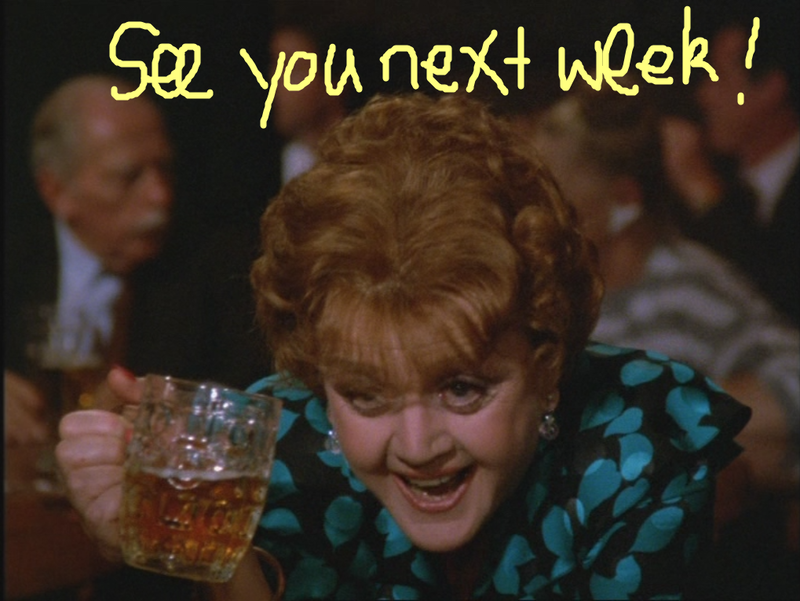 I have exciting news Fletcherfans. This episode not only doesn’t have Grady in it, it has everyone’s favourite English cousin in it. Emma is just kicking back and having a beer with her friends when a mysterious stranger arrives by the name of Humphrey Defoe who wants a private word. He represents the 18th Viscount Blackadder Blackraven, who Emma knew back in the day as Lieutenant Geoffrey Constable. He would like Emma to come and visit him after all these years. Humphrey gives her an envelope with a thousand pounds but Emma is scandalised. She doesn’t need a bribe to visit her old friend. I dunno. A thousand quid is like twenty bajillion Australian dollars. But I’ve never been good with currency conversion. Anyway, the next morning Emma heads off into the countryside with Humphrey to pay a visit on her old friend. Emma freaks out seeing the size of the house, and wonders what she was thinking, going to see a man she hadn’t seen for forty years – she’s not exactly the same nineteen year old Geoffrey remembers. Humphrey kindly points out that Geoffrey won’t be the same either, but that if he might be permitted an observation, the years have been very kind to both of them. 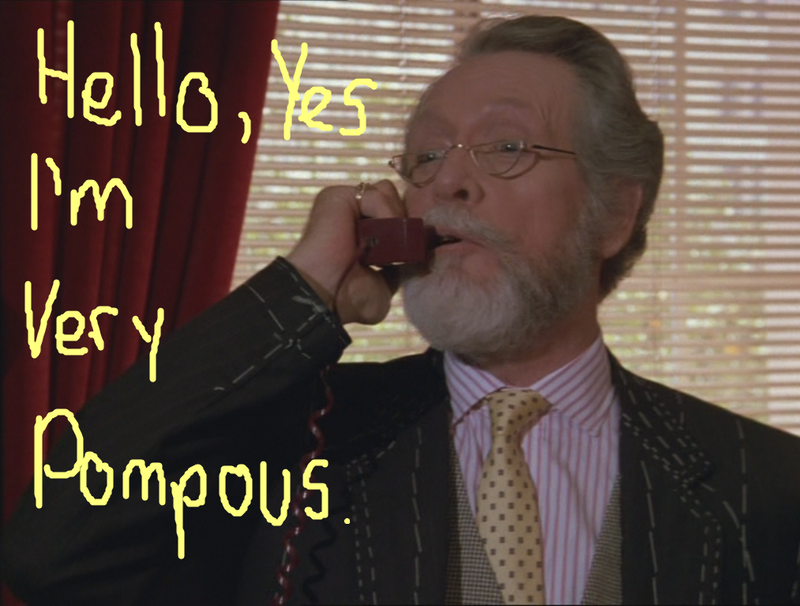 Oh Humphrey, you old charmer. Inside the reception is mild bordering on warm. Geoffrey’s sister Sybil greets Emma, telling Humphrey she was sure her brother was sending him on a fool’s errand. Jeffrey’s niece-in-law Pauline is far more frosty, and is more concerned with trying to get her son Derek to stay home and not go out raging/playing tennis. For someone who started out life as a baker’s daughter, she seems a complete cow. Humphrey takes Emma upstairs and reintroduces her to Geoffrey, who tells her that one of the reasons he invited her down was to tell her he was leaving her one of his houses, but mainly to see her one more time before he dropped off the perch. 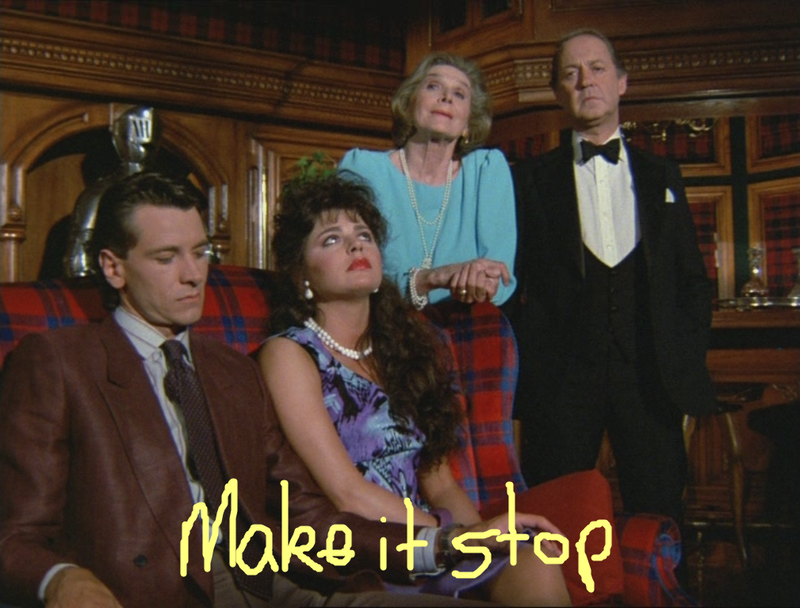 That night at dinner the whole family frocks up at Geoffrey’s request, including Geoffrey’s other nephew Johnny who has inexplicably arrived with Daphne from Frasier. I was going to make a bad Jane Enters/Jane Leeves pun but I didn’t so consider yourselves lucky. At dinner, while the rest of the family struggle to contain their horror at Daphne Gwen’s tales about her three quid a class dance lessons, Emma has to inform Geoffrey that while she appreciates him going to the effort of ordering pickled herring in remembrance of the restaurant they used to gorge themselves at after Emma’s performances back in the day, she can’t actually eat it on account of getting food poisoning from the herring at said restaurant before it closed down. After dinner they are entertained by Pauline doing a wonderful piano rendition of Hashtag Selfie. For real though. I heard that song for the first time the other night and tried to throw myself out of a moving car. This song choice is a bit more divisive. For the record, I’m firmly in the LOL camp. 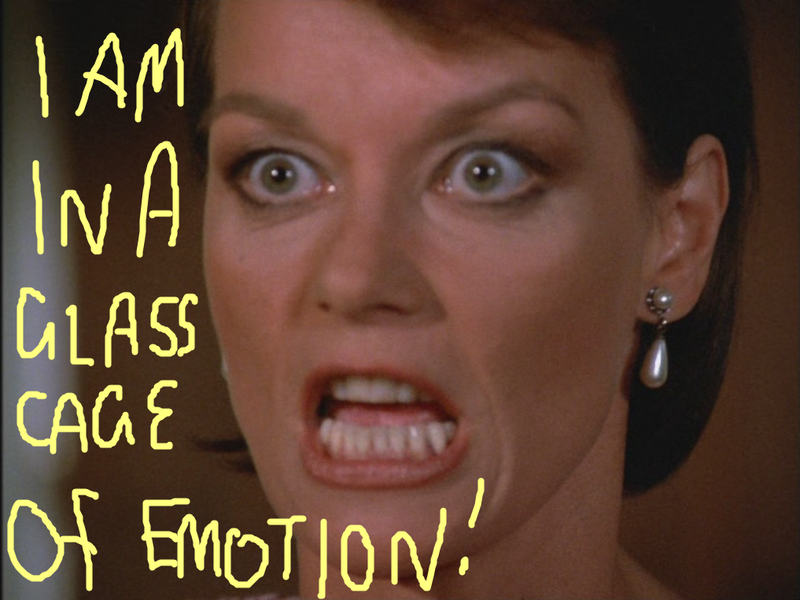 Actually, the only people in the WTF camp are Cybil and Pauline, who after the performance is in a glass cage of emotion. The next morning Emma, Gwen, Johnny, Sybil and Humphrey are out having breakfast on the terrace when Derek enters via the bushes, asking whether his great-uncle has kicked the bucket yet. Cue the entrance of Geoffrey’s doctor who is delighted to announce that Geoffrey’s health has miraculously turned around, and that he could live for another twenty years. This news isn’t greeted with the greatest excitement from anyone, except Emma and Humphrey. The man himself appears a short time later and tells Emma to pack a basket, they’re going on a picnic. While Emma and Geoffrey drive off to amuse themselves *nudge nudge wink wink*, and Geoffrey tells stories of his late father who died just a couple of weeks previously, Sybil and Pauline rage against Humphrey for bringing Emma into their lives. Humphrey refuses, saying that he talked Geoffrey out of returning to Emma after the war and he’d always regretted it. Sybil tells him that she knew he was smuggling whiskey in to her father against doctor’s orders before he died, and informs him that once her brother has passed away they will decide whether to retain Humphrey’s services. Meanwhile, out in the paddock, Geoffrey is snacking on pickled herring and trying to propose to Emma when he collapses. He sends Emma for help but dies in the mean time. The good doctor suspects a heart attack but Inspector Frost suspects murder by death poison. 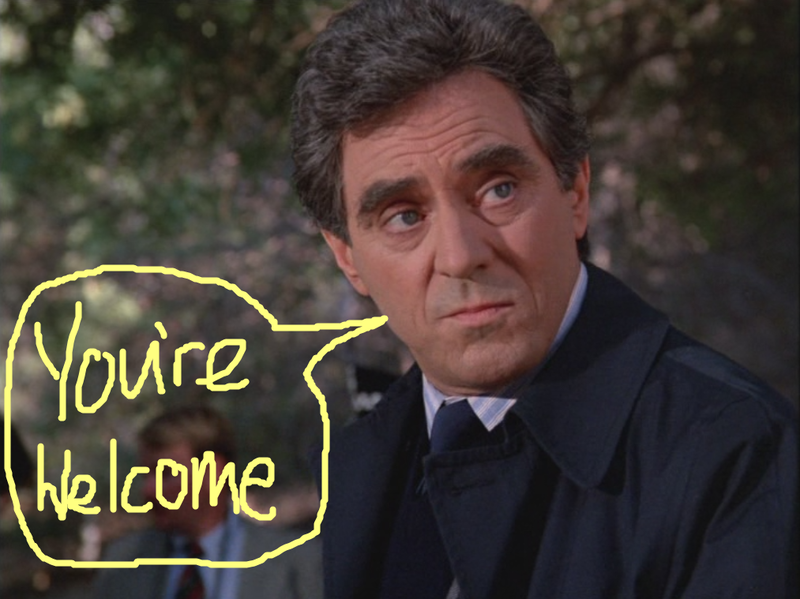 Fun fact about the Inspector – he wrote the lyrics to Goldfinger and all the songs in Willy Wonka and the Chocolate Factory. Another fun fact mainly for my brother: he once played a character called Heironymus Merkin. The Inspector goes to the Blackraven estate to inform the family that Geoffrey didn’t make it, and not a single tear was shed. He asks to speak to Emma and Pauline informs him that as wife of the new Viscount Blackraven, he can address all questions to her. He informs her that he’ll go and ask Emma himself, much to Pauline’s disgust. Out on the terrace Emma is heartbroken to hear of Geoffrey’s death. He asks her whose idea the picnic was and who prepared the food, and she tells him Geoffrey planned it and she got all the food together. Humphrey asks why the Inspector wants to know and he tells them of his suspicions that Geoffrey was poisoned. Pauline doesn’t take long to stamp her authority on her surroundings as the new Vicountess. She informs one of the ladies from the Garden Society that she will come for lunch with the society at her house at 1pm, and to make sure it’s something light as it’s important they all watch their waistlines. UGH, THIS WOMAN. Unfortunately for her, her influence doesn’t extend to her husband, as when Derek comes in looking for money to go skiing in Grenoble his father tells him to get a job, much to her horror. BOOM. I like this new Viscount, he’s alright. Down at the police station the Inspector tells Emma that the family were quick to tell him about her inheritance, but that he doesn’t suspect her. He suspects the poison was confined to the herring, and as Emma had told him the story of the night before about how she doesn’t eat pickled herring, he thinks someone else put the poison in the fish to cast suspicion on Emma. Emma, remembering something Geoffrey had told her, wonders out loud whether the same thing might have happened to Geoffrey’s father. The inspector is impressed by this theory but Emma is modest, saying it’s the sort of thing her cousin would have thought of. Life Lesson #53 – Always ask yourself, WWJBD? The Inspector informs the family that he will be exhuming the body of Geoffrey and Sybil’s father Rupert much to everyone’s horror. They all manage to swallow their indignation and get on with their lives, however. 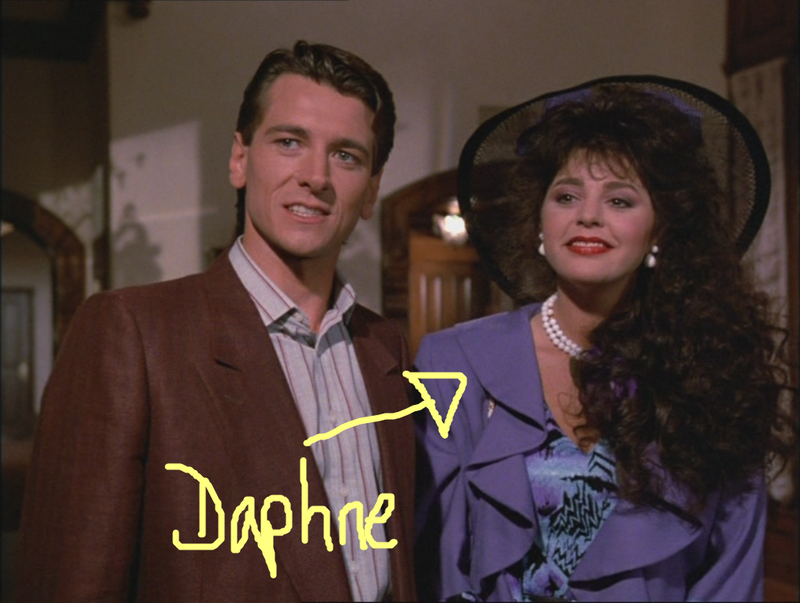 Pauline goes off to show off her new Viscountessness to the ladies who once snobbed her for being a baker’s daughter and Johnny decides to go shooting with Derek for reasons I will never understand. As the body is being exhumed, Humphrey appears with a bit of gossip for Emma – Johnny Constable is in a bit of financial strife with some shady characters from the Middle East. Oh look! Nothing changes! He wasn’t able to find out more information than that, but Emma tells him he was asking the wrong person. Emma takes Gwen out for a pint, and finds out that Johnny was all set to try to borrow money from his great-uncle but that he died before he had the chance. The same thing happened not a few months earlier, when Johnny tried to borrow from Geoffrey’s father – even tried buttering him up by sneaking him chocolate bonbons – but the old dude said no. Before Emma can ask another question, Humphrey turns up with some grim news – Derek’s just been shot. After a quick stop to alert his mother Pauline – thankfully before she’d sat down to lunch with the ladies – they rush back to the manor to find Derek mostly fine, but whining. While the killer carefully throws blame at Johnny Emma alerts the Inspector to a clue outside. The inspector returns, announces that he is taking Johnny in for questioning and escorts him out to the car. As they watch the car drive away Emma announces she’s also leaving, getting a lift to the station with Humphrey. Or are they? The cunning theft of a distributor cap means that Humphrey’s car won’t start. They’ll have to borrow Pauline’s car. But Pauline would prefer that they didn’t, what with the shotgun in the boot that was used to shoot Derek and frame Johnny so that he could take the fall for the murders of Geoffrey and his father. And so the crime was solved and the next season of Downton Abbey was born. Fletcherfans, remember that time I discovered Benjamin Horne and Tony from West Side Story were the same person? Well he’s back but this time as Morgan McCormack, the heir apparent to the throne of business tycoon Duncan Barnett. His wife Virginia has enlisted the help of three witches a psychic to try to predict when said ascension is going to take place. Luckily for Lord and Lady Macbeth, the psychic has good news – he will take over sooner rather than later. But beware! There is a determined woman with a will far greater than even his. The only thing puzzling Lady Macbeth is who is this mysterious determined woman with a great will? JB has also been invited to Duncan’s little shindig as she loves to have a beer with him is on the board of directors. She’s not just there to make up the numbers though. Duncan wants to close down a paper mill in Cabot Cove, and JB is having none of it. Next to arrive is Spruce Osborne (not kidding) with his girlfriend Serena “Just one name, like Ann-Margaret”. Duncan’s wife Lydia introduces them to Jess but Jess is already acquainted with the Sprucester – he’s after her shares in the company. JB wonders at Spruce’s presence at what appears to be a special gathering of the board but Lydia has no idea what her husband is up to. That night, as they gather for drinks and desserts on the terrace, Lord and Lady Macbeth mutter to themselves that Duncan isn’t going to announce his retirement, while Lydia gives her husband side-eye as he cosies up to the only other female on the board, the conveniently named Anne Hathaway. Lydia reminds her husband to take his heart medication, and the Sprucester is horrified when he takes it with seltzer instead of brandy. Duncan informs him that his doctor only permits one brandy a day, which he takes right before bed. He sticks to it, because he plans to be around for a long long time, much to the general dismay of almost everyone gathered. Well, that’s the nail in the coffin right there. As he goes up to bed, Lord and Lady Macbeth and Tom and Kate Dutton scurry after him to try to allay any suspicion that they wanted him dead/retired. He just laughs at them and goes to bed. Lady Macbeth doesn’t take kindly to being mocked and decides it would be a better idea to kill him. That night, JB is reading Macbeth a book when the lights flicker. 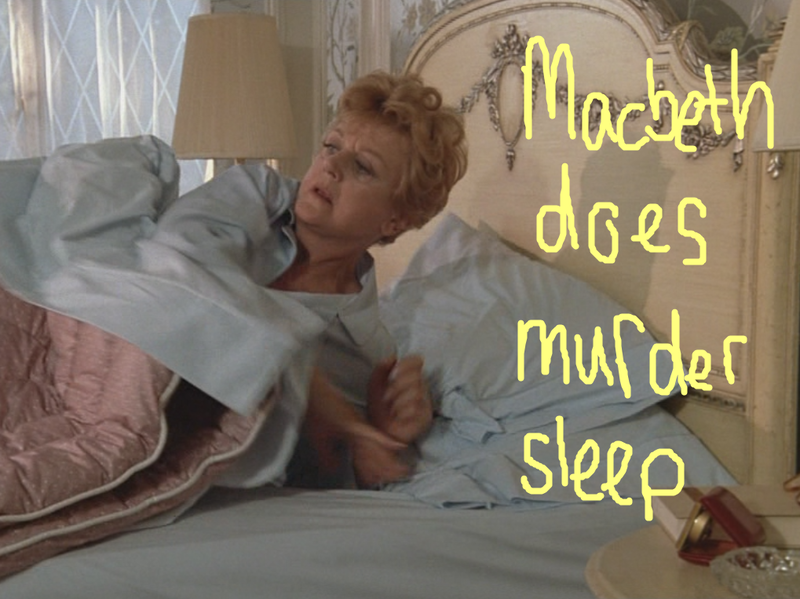 She notes the time, 12:15am, because JESSICA FLETCHER MISSES NOTHING. The next morning she is woken by a screaming Lydia. Will it surprise you to know that King Duncan is dead from a television in the bathtub? Yeah, I didn’t think so. Doctor Grayson is called, and he decides that Duncan had a massive heart attack either before or after the TV went in the tub. JB goes to get Lydia the glass of brandy she’d spotted earlier but it’s disappeared. Macbeth comes in to offer his condolences to Lydia and to tell JB he’s called an emergency board meeting for that night. He tells her she doesn’t have to be there, but JB tells him she thinks she should be there if they are electing a new chairman. That night, as they all meet in the boardroom at Barnett Industries Macbeth and Tom Dutton compete over who can fawn over JB the most. While the new arrival, Q.L Frubson arrives and tries to work out which board meeting he’s at, JB sneaks into the kitchen and calls Doctor Grayson – she suspects Duncan might have been murdered but has no proof. Macbeth calls a vote to elect a new chairman, He gets two votes, Tom Dutton gets two votes, Anne Hathaway abstains but gets a vote from Q L, leaving the deciding vote to Jess who is unwilling to cast a vote without knowing the candidate’s positions on things. This is not good news for Q L who announces it’s gonna be a long night. He goes in to change his plane reservation, but actually calls the Sprucester, and tells him he has things under control. The meeting drags on until morning, when a compromise is finally reached between Macbeth and Tom Dutton – Macbeth is to be temporary chairman for ninety days. That crisis temporarily averted, JB returns to her suspicion that Duncan was murdered. While she waits for the results of the drug test to come back she tells Macbeth of her concern for the company if there is a murder investigation and asks him if he heard anything suspicious, since he and Lady Macbeth were in the suite next to him. Macbeth is very quick to inform JB that both he and Lady Macbeth were asleep by 11:30pm. JB then goes to see the Sprucester, who tells her that he sold his shares in Barnett Industries that morning, and is no longer terribly interested in the company. The next day, JB attends the wake for Duncan and confides her suspicions to Doctor Grayson, that Duncan was killed by an overdose of heart medication. She suspects that it was in the brandy but that it can’t have been as she saw the full brandy glass the morning after Duncan died. The good doctor does some checking and discovers that four of Duncan’s digitalis pills are unaccounted for. Tom Dalton’s wife Kate overhears their conversation and drops a vase in shock – Duncan murdered? Inconceivable! 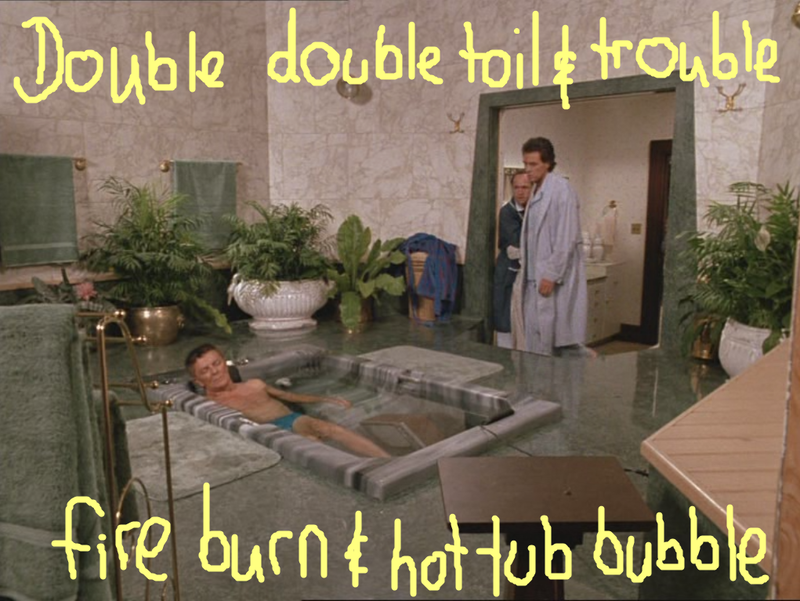 Kate Dutton manages to get over her shock enough to tell JB and Doctor Grayson that she heard the Sprucester’s girlfriend Serena in the hot tub with Duncan the night he died. Jess confirms this when she finds one of Selena’s charms on the floor near the hot tub. Later, when Jessica is leaving the graveyard after Duncan’s service, she runs into Doctor Grayson and the lieutenant. There was no trace of digitalis found in Duncan’s system. He was electrocuted when the TV went in the tub, either accidentally or on purpose. Back at the Barnet house, JB spots Serena sneaking upstairs, presumably looking for her charm. Jess confronts her and she admits to knowing Duncan before she arrived at the house that weekend. She had in fact ended up with the Sprucester on Duncan’s orders, to keep track of him so to speak. She swears he was alive when she left him in the hot tub at 12:15 though and has the Sprucester as an alibi. Nudge nudge wink wink say no more. JB finally confronts Lord and Lady Macbeth, who try to bluff it out but eventually Lady Macbeth comes clean. Her husband got chicken when he heard the woman’s voice in the hot tub, leaving Lady Macbeth to put the digitalis in the brandy. She doesn’t know if it was Serena or not, as the water was running and the door was closed. And therein lies the final clue, apparently. So we weren’t entirely wrong. She wanted her husband to get a better deal, Duncan laughed at her, she got mad and threw the television in the hot tub. First of all thanks to everyone who tweeted along with me as I watched The Celtic Riddle last Sunday (or in the case of my housemate, shouted enthusiastically at the television). If you click here and scroll down, you will be able to see how we all fell apart. 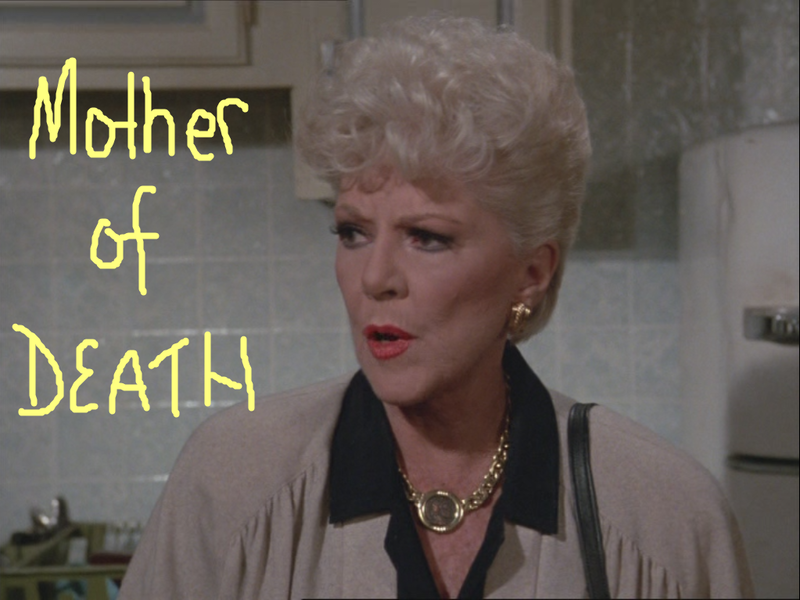 (You’ll notice that it makes about as much sense as a regular Murder, She Blogged post so I feel we achieved something there). For the record, I have still not recovered from seeing Mark Sheppard in it, although it does prove that all the best things have Mark Sheppard in them. Yeah science! But nevermind all that, because this week JB is hanging out in Louisiana with nuns, specifically her old school friend Claire, who is now Mother Superior. 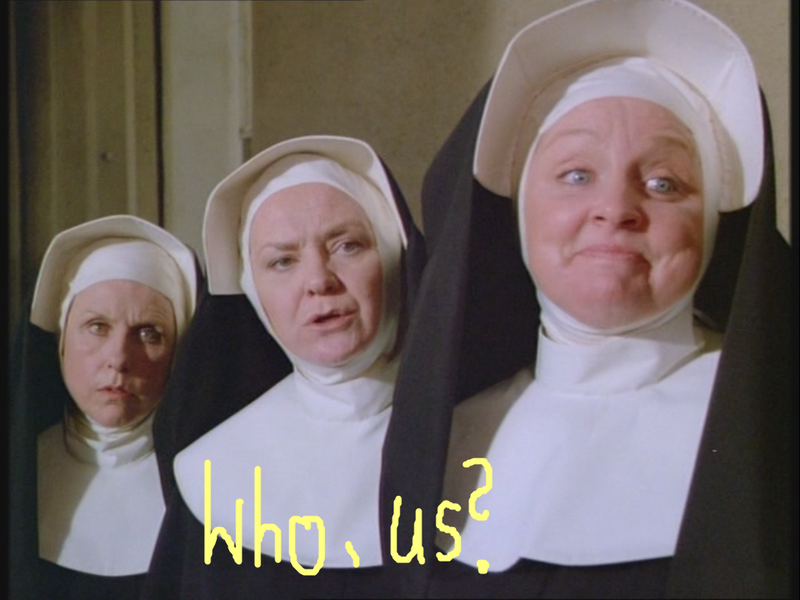 If I know nothing else, it’s that you DO NOT MESS WITH NUNS THEY HAVE MAGICAL POWERS. JB is not the only person hanging out at the Convent of the Immaculate Heart, although she is the only one dodging a deadline (MY HERO!). New nun Sarah has joined up, much to the dismay of her (ex) boyfriend Mike Phelps who is raging all about the place, and someone called Nancy Bates is trying to get in to see Sister Emily but without any success. Meanwhile, JB has bigger problems than her deadline-dodging. She’s just been spotted by the mayor’s wife Marian Simpson, and I’m ashamed to say I didn’t recognise her at first. To be fair, Mrs Peacock’s hair was not that epic in Clue. Marian is very good at having those conversations where the other person involved is completely irrelevant. She manages to continue talking at JB from outside the convent (where she lived as a kid) all the way up to the Mother Superior’s office and barely stops to register that the Mother Superior is in the middle of a conversation with a private detective about a potential former resident of the convent, Linda Crane, or Linda Stone as she’s known now. The Mother Superior has nothing for him, but thinks Sister Emily might be able to help. JB volunteers to take the detective Ray Carter down to see Sister Emily, as Marian Simpson has got to finish this conversation about the invitations to the dedication ceremony taking place in a couple of days. Unfortunately for Ray, Sister Emily is not really feeling very forthcoming and gives him the old brushoff. While JB and the Mother Superior chillax over a pot of tea, JB notices Sarah drop an envelope with her name on it and hands it back, complimenting Sarah on her ornate crucifix. Class, I feel like this is going to come up again later. Speaking of later, JB is raiding the convent library when there’s a knock at the door. It’s Doctor Marshall, dropping off a prescription for Sister Emily. JB informs the nearest nun, Sister Paula, who is surprised as Sister Emily usually uses Doctor Hart. Class, I feel like this might come up again later too. Meanwhile, at the Mayor’s house, Mrs Peacock Marian Simpson has informed her husband that the detective Ray Carter is looking for Linda Crane and he freaks out. Guys, do you think this might come up later too? Later that night, JB is just about to call it a day when a scream sends her out of bed. Sarah has just found Sister Emily, face down in her room, a hand-written Bible passage next to her. Now I can’t stop humming Oh Happy Day. The next morning during the service JB spots Sarah making eyes at her ex boyfriend Mike and sneaking out in the middle of the choir singing In The Garden Of Eden by I Ron Butterfly a hymn. After the service, JB asks the sisters if they saw Sarah the previous night when Sister Emily died. Between the three of them they establish that they had no idea where she was then or now. Before JB can do any more detecting, she’s accosted by Marian Simpson and her husband who are just simply devastated about Sister Emily’s suicide, and that nothing like this has ever happened at the convent since the Civil War when it was used on the Underground Railroad and yada yada yada. JB points out that they don’t know all the facts yet (which is accurate, since it only happened about 12 hours ago) but Marian refuses to believe it could be anything but. Although…she did see Nancy Bates yesterday. It turns out this Nancy Bates has just got out of prison, where she ended up thanks in part to the testimony of Sister Emily. While the congregation is out on the lawn nomming down on some tasty baked goods made by the Sisters, JB takes advantage and goes snooping in Sister Emily’s classroom. She hears a noise in the cupboard and finds one of the convent’s wards, Amy hiding there. Between the crying and the whatnot, she tells JB that Sister Emily used to write out passages from the Bible for her. JB asks to see some and Amy shows them to her. They’re a match to the Bible passage the Sheriff and the Bishop are convinced was a suicide note. Jess confronts the Sheriff but he’s still not convinced it proves Sister Emily didn’t kill herself. As they argue JB hears a noise coming from Sister Emily’s room. It’s Doctor Marshall rummaging through drawers. When he heard about Sister Emily’s death he wanted to check for himself what was on the pills, as the prescription he placed for her wasn’t strong enough to kill her. JB tells the Mother Superior about the Bible passage and the prescription and she’s even more convinced that Sister Emily was murdered. The Bishop says that if that’s true then it must have been one of the nuns. Jess disagrees, reminding him about Nancy Bates. The Bishop tells her that the convent was locked from after dinner until the police arrived so there was no way for anyone to get in and no way for JB to prove it. JB goes to see Sarah who is out pruning in the garden, but she refuses to admit where she was the night Sister Emily died, or where she was after the service the next day. Sarah’s boyfriend Mike says exactly the same thing, but JB spots Sarah’s fancy crucifix around his neck. KNEW IT. That night JB is looking at the old floor plans of the convent and spots a crypt with potential for a secret passage. When she goes to investigate she’s attacked by a gloved hand. The gloved hand turns out to belong to Nancy Bates, who had snuck in through the disused tunnel into the convent to retrieve the proof that she’d been to see Sister Emily the night she died. She tells JB that she wanted to see Sister Emily to thank her for all she did in getting Nancy to turn her life around, which is what prison did. JB asks her why noone else knows about the tunnel and Nancy says it was uncovered by some wards in the 60s and it was kept a secret by the wards ever since. JB decides she probably didn’t kill Sister Emily and asks her if she saw anything the night Sister Emily died. Nancy says no, but she may have seen a shadow hiding in the crypt as Nancy left. JB decides to search Sister Emily’s room for clues, with the Mother Superior’s help, and they discover that one of the Sister’s habits is missing, along with the photo the detective gave Sister Emily to try and jog her memory about Linda Stone. Jess goes to see him and finds him packing up to leave town. He comes clean about the investigation – some rich so and so was concerned Linda Stone was a gold-digger after her son’s money and wanted to look into her background, but as it happened she ended up eloping with someone else. JB asked why Carter’s client was so concerned with Linda and he tells her what he knows of Linda’s life – she turned up at the convent pregnant 15 years ago, with a sob story about a husband who was killed in Vietnam that was completely fictional as far as Carter could see. Apparently this was all the proof JB needed, and enlists the help of the Mother Superior to set the trap to catch the killer. And lets face it, between JB and a Reverend Mother the killer had no chance of getting away with it. In the library with the candlestick. By which I mean in the convent with the drugs. Ah yes. That old my-husband-knocked-up-a-ward-of-the-convent-fifteen-years-ago-and-noone-must-know-or-he-won’t-win-the-election chestnut. But dude, you messed with nuns. 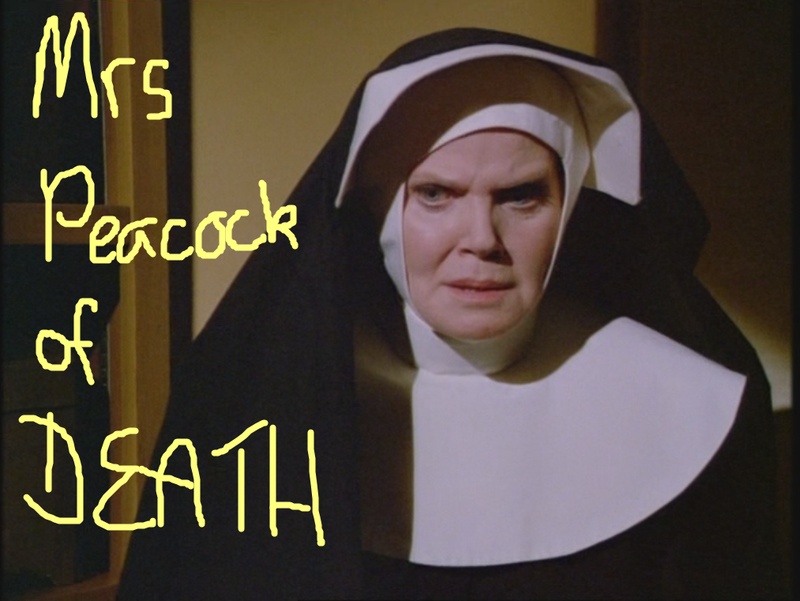 NOBODY MESSES WITH NUNS. 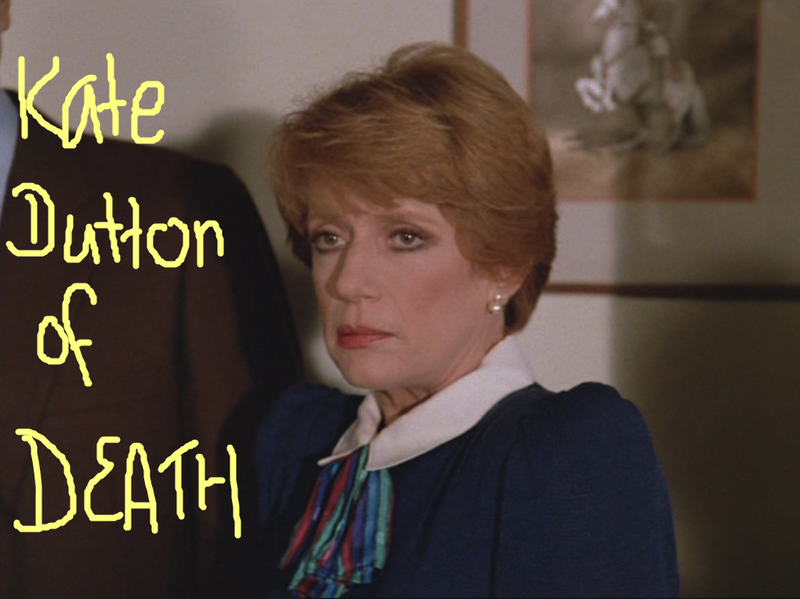 PS – I want it noted that despite the title of this episode I made NOT ONE DIE HARD REFERENCE. I blame the being woken up early by the Grand Prix two days in a row. Seriously, DOES IT HAVE TO BE 7:30 IN THE MORNING???????? Fletcherfans, once upon a time, there was a far away magical kingdom called CANADA to which Our Heroine travelled to visit her friend Jim Harlan, his mother Judith, his wife Patricia, and her friend Monica Blane. Those were the halcyon days when talk was confined to new novels and family heirloom brooches. That night, they adjourned from the Harlan country house to the Harlan townhouse, after Jim dropped Monica at the airport and Patricia went to get her hair done. Or so they thought. 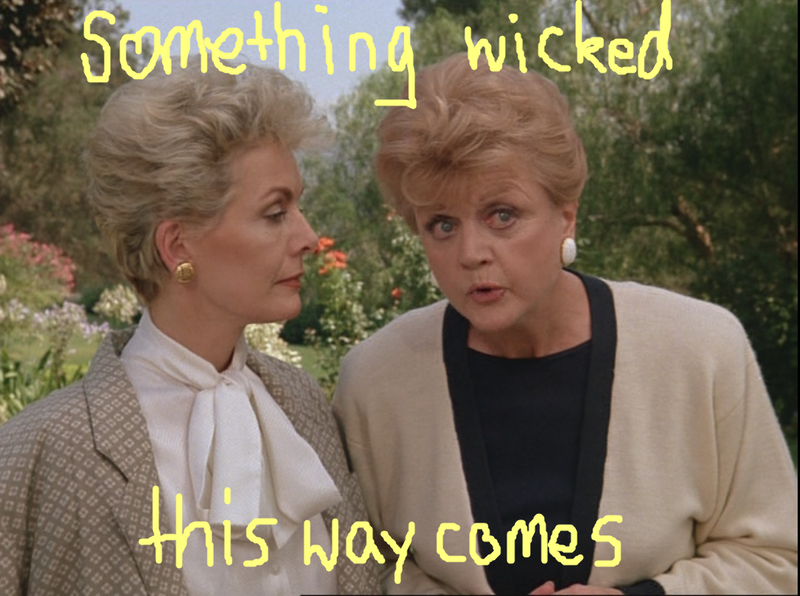 Instead, a wandering butler steps in to inform Jim’s mother Judith that there was a fire at the country house and Patricia’s body had been discovered. Fast forward six months, Jim has been arrested for the murder of his wife and JB has been summoned to return to Quebec, in the magical kingdom of Canada to act as a witness for the defence led by Oliver Quayle, Attorney At Law who is everything you could ever want in a defence attorney. For some reason Quebec lawyers are more British than I had expected. JB is a bit concerned about Quayle, particularly his insistence that she wear a straw hat with violets in it. This look has been previously reserved for when Grady says something stupid, i.e everything. Fortunately Quayle is distracted first by a phone call from his ex-wife Deidre then a reminder from his assistant Barnaby Friar that he is late for an appointment. 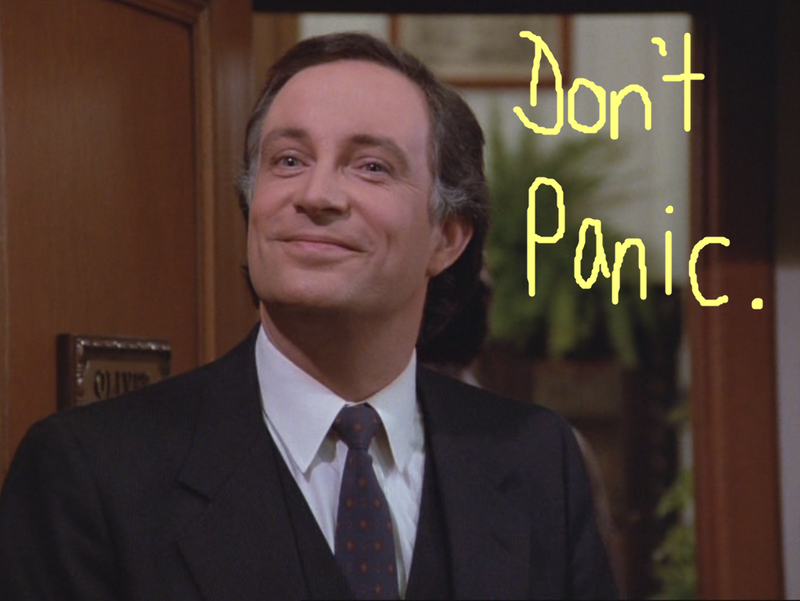 It’s been a million years since I’ve watched the original Hitchhikers Guide to the Galaxy. 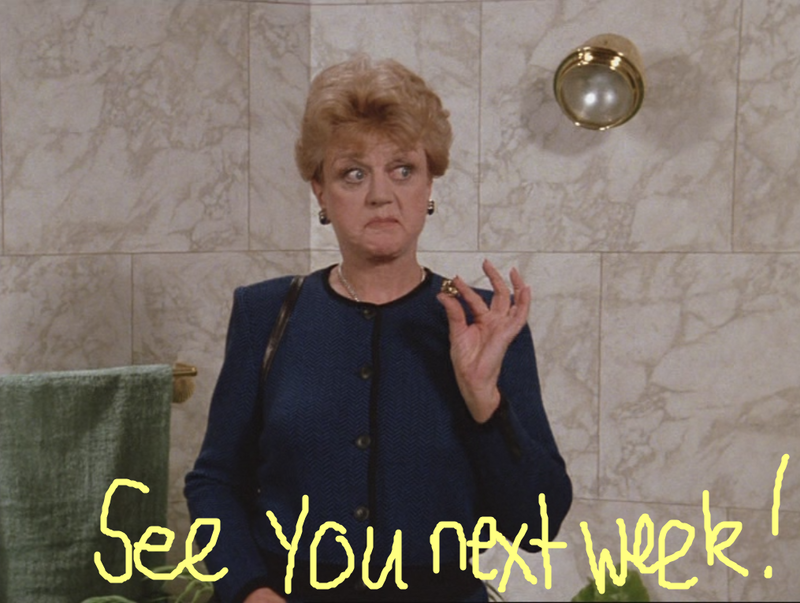 That night JB goes to see Jim and Judith at home, to get more answers than she got from the Quaylemeister. Jim tells her that the fire was suspected to have been deliberately lit, which is how he has ended up on trial for murder. His mother orders him off to bed in preparation for the trial in the morning, and confides to JB that they didn’t really know much about Patricia before Jim married her. Fun fact: Judith Harlan is being played by Julie Andrews, who is being played by Claire Trevor from Key Largo, which is a Bogart movie I haven’t seen yet. 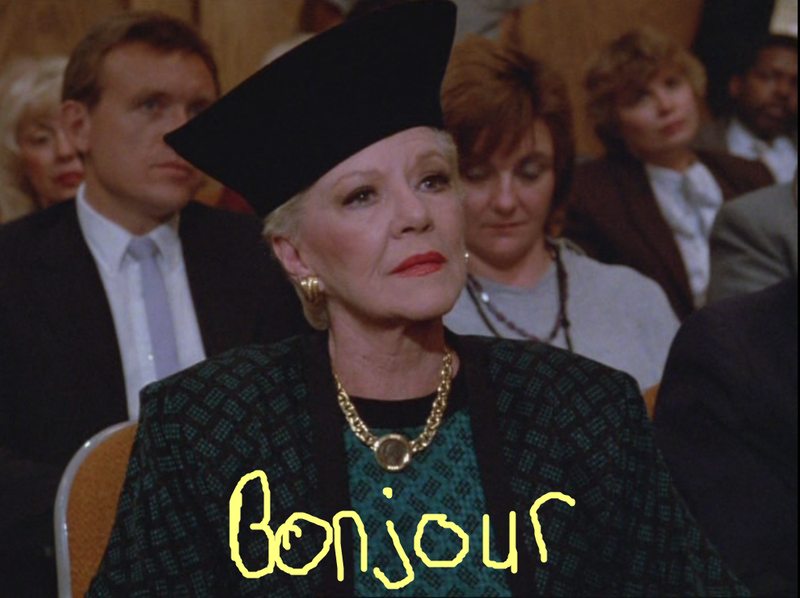 (I really thought at least one person in this episode would be speaking French). Incidentally that is what she wore to Jim’s trial so if you have jury duty coming up I seriously suggest reconsidering your entire wardrobe. The first witness for the defence is one of the policemen called to testify about the circumstances of the fire, and is torn to shreds by Quayle. The second witness, the gardener Clay McCloud testifies that he heard Jim arguing with Patricia the weekend before she died – she wanted a divorce but he said “I’ll see you dead.” Under examination from the Quayle it is revealed that McCloud had spent time in jail and was sacked the same day as the fire for allegedly stealing things. To conclude: McCloud is a bit of shady customer. Next on the stand is the coroner, who testifies that the body was almost completely destroyed by the fire, and that identification was made only through the jewellery recovered from the scene. Also that the victim died from a massive whack to the head, and not the fire. DRAMA. Back at the Quayle nest JB is not entirely convinced that the lawyer has got things under control. It is clear to her that Patricia died before the fire started, meaning that Jim had better get his alibi sorted. He tells her that he was with Monica Blayne, but that no one has been able to find her since the fire. JB has the audacity to ask the Quayle whether he’s tried to find Monica Blayne and he curly informs Our Heroine that her services will no longer be needed. Jim has a private word to JB, and tells her that Patricia had been burning through money without accounting for it, and some harsh things were said as a result but that he didn’t threaten her. JB wonders why the gardener lied and pays him a visit in the guise of a reporter from the Cabot Cove Gazette. He tells her that he knows for a fact that Patricia was dead before the fire started, because when he went back to the country house to collect some backpay he saw Patricia lying on the floor. Back in the courtroom Quayle has managed to get the coroner to say that the blow to Patricia’s head may have been caused by a falling beam. The next witness, the owner of a hotel near the airport, testifies that Monica Blayne booked a hotel room for a couple of hours for herself and Jim Harlan. 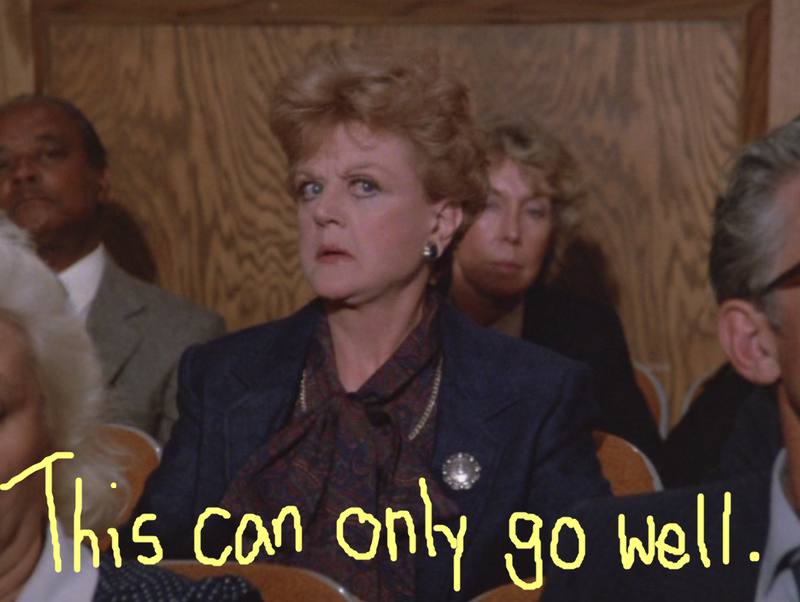 Quayle wisely decides not to cross-examine this witness. 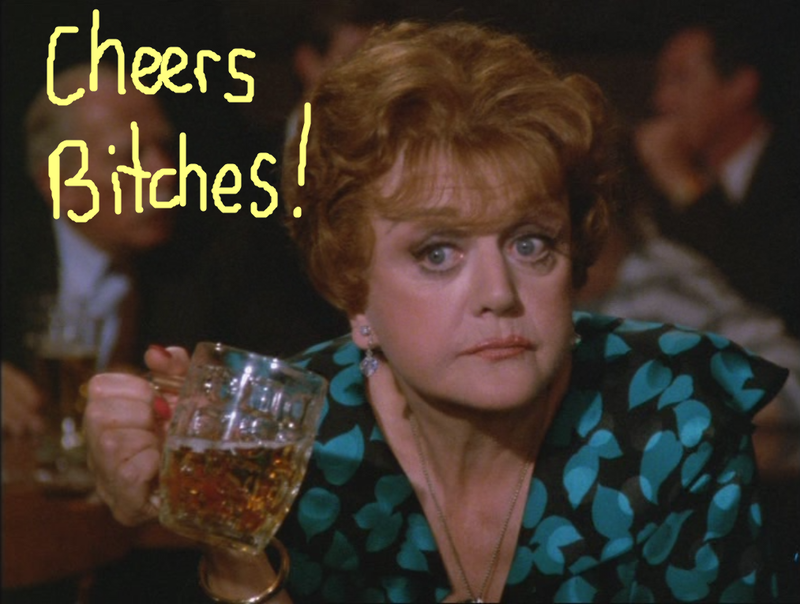 The next witness, the prosecutor announces, will be Jessica Fletcher. Clearly this was all part of JB’s plan. The questions from the prosecutor are all straight forward, and summarise the events of the night Patricia died. Quayle, on the other hand, chooses different line, suggesting that she stole her next novel idea from Jim, that she was insane and spent time in a sanatorium, and that three of her relatives have been arrested for murder, twice in the case of her nephew Grady Fletcher. Ugh. Character sufficiently assassinated, Quayle has no further questions and JB steps down from the witness stand. Having lunch in the cafeteria she spots the prosecutor, Annette Pirage, who sort of apologises for putting her on the stand. JB asks her if she really believes Jim killed his wife, and Annette tells her she intends to prove that Jim and Monica Blayne were in it together, despite the fact that Monica is still MIA. In the car, JB demands some answers from Jim. He tells her that his marriage to Patricia was sinking fast, she was burning through money and even withdrew twenty thousand on the day she died that was never recovered. He confirms that he was with Monica in the hotel at the time his wife was murdered, but without Monica to back him up it’s not a great alibi. That night JB is getting ready for bed when she gets a knock on her hotel room door. 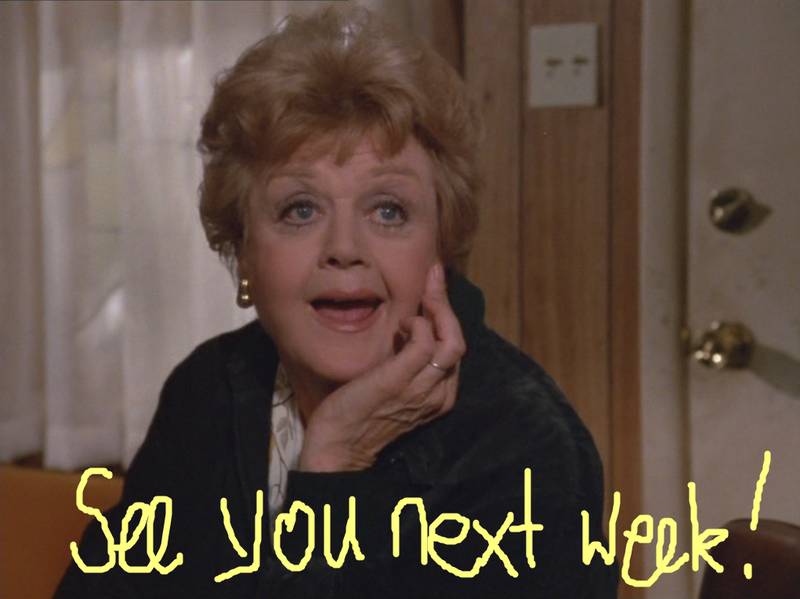 It’s Judith, apologising for the Quayle’s behaviour in the courtroom that day and to say goodbye before JB returns to Cabot Cove. JB thanks her but tells her she’s not leaving yet, even though Judith thinks it would be better. Judith tells JB that she would do anything for her son, including hire a private investigator to check up on her new daughter-in-law, who it turns out spent a year in jail in Arizona. JB correctly guesses that Monica Blayne also spent time in the Arizona jail as well. 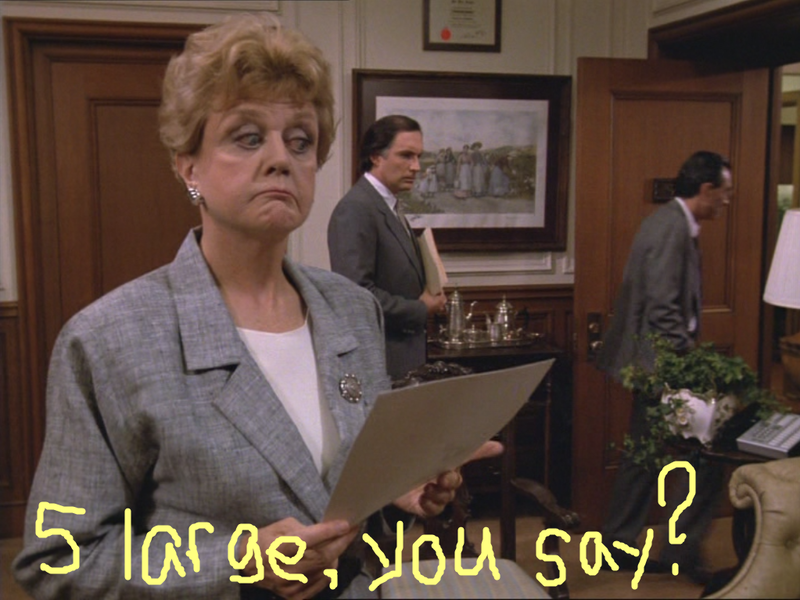 In the morning, JB sneaks in to the Quayle nest to see if she can take a peek at the police report. Barnaby is happy to prove how influential he is in the office and shows her the report, confirming that the only way they could identify the body was through the engraved engagement and wedding rings. JB asks about the brooch she saw Patricia wearing the night of the fire but Barnaby doesn’t know anything about it. They are interrupted by the arrival of a private investigator to see the Quayle and despite Barnaby’s offer to assist the man simply tells them to tell the Quayle “Monica Blayne”, that he’ll be down the street and to bring five large. Armed with an envelope she liberated from the Quayle nest JB pays a visit to the private investigator who has taken up residence at a bar down the street. 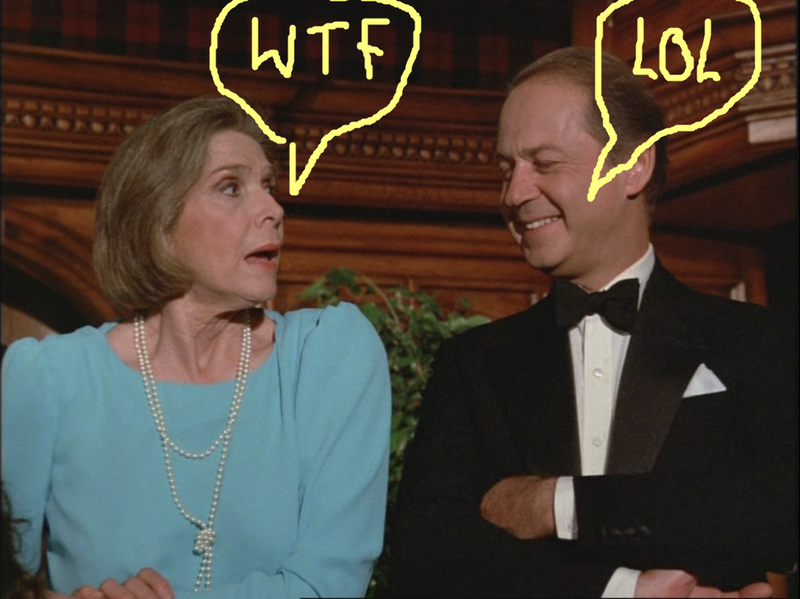 He asks her who she is and she tells him “The name I go by in Quebec is Fletcher.” This turned into a spy movie very quickly… JB correctly guesses that this is the same private investigator Judith hired to investigate Patricia but before she can get any information out of the man the Quayle appears and the Quayle is displeased. The next morning Barnaby informs JB that they found Monica Blayne and flew her up from NYC to testify. Unfortunately for the defence Annette Pirage gets in first and calls Monica to the stand, where she informs the jury that they were together the night of Patricia’s death but that Jim left early, saying he had something to sort out at the country house. Back at the Quayle nest Jim swears she’s lying but is interrupted by Quayle walking in, losing his mind at JB and ordering Jim and Judith into his office. 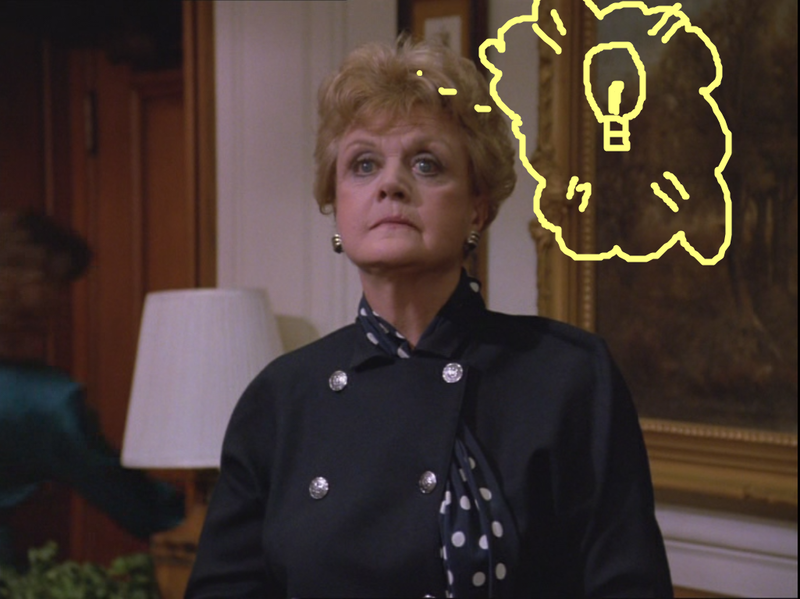 While Barnaby is on the phone to Quayle’s second ex-wife, JB helps the secretary find a missing earring which turns out to a) have a lot of sentimental value and b) give JB an idea. 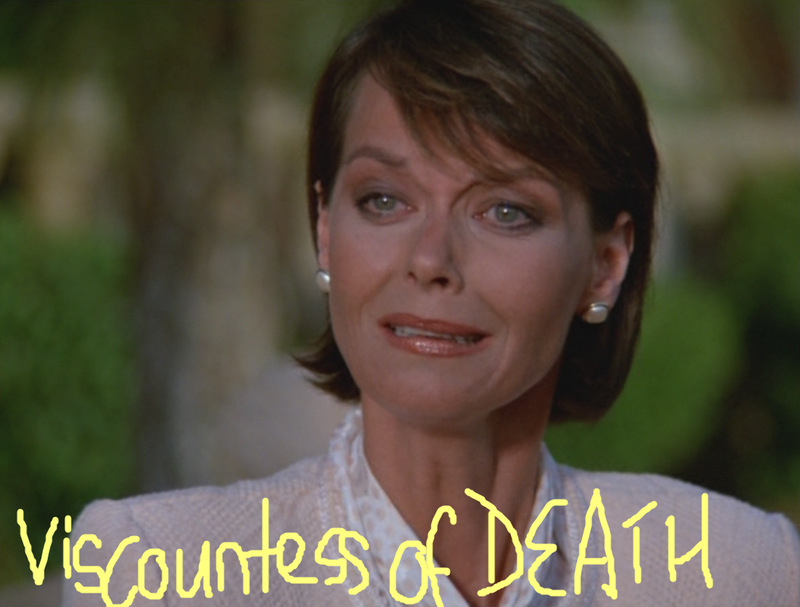 And now a disclaimer: for almost this entire episode I was convinced that the body they found burned was Monica Blayne and that Patricia had taken money and left to start a new life with the gardener, and that the reason that the brooch wasn’t found was because she took it, to pawn later or some such. Even when Monica Blayne turned up I thought that. 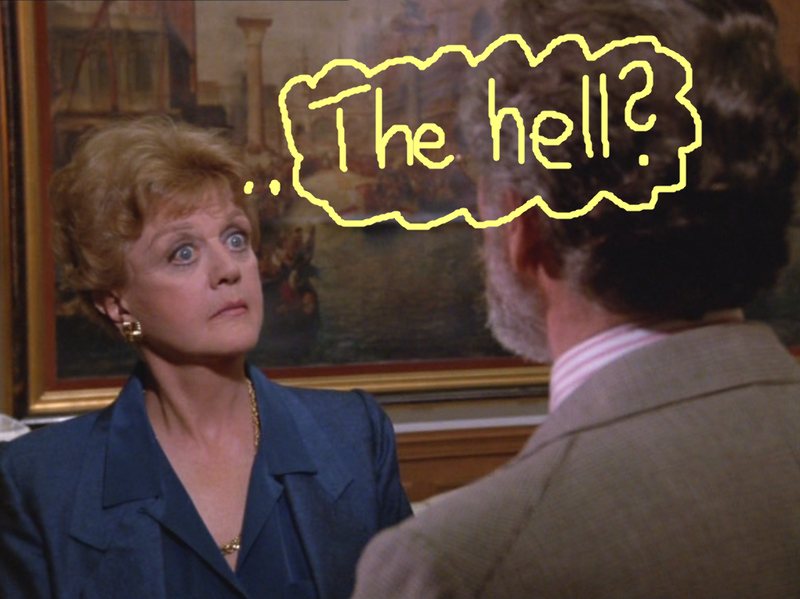 Turns out I was overthinking it, and that the reason the brooch wasn’t found was because the killer took it back. For sentimental family heirloom reasons. To be fair to her, she did say she’d do anything for her son. For his role in helping to acquit Jim Harlan (by doing what JB told him to do) Barnaby was made First Assistant to the Quayle, and the Quayle got to take on a new high-profile case defending Judith Harlan. He’s delighted to inform JB that he intends to call her as a witness in a few months time. 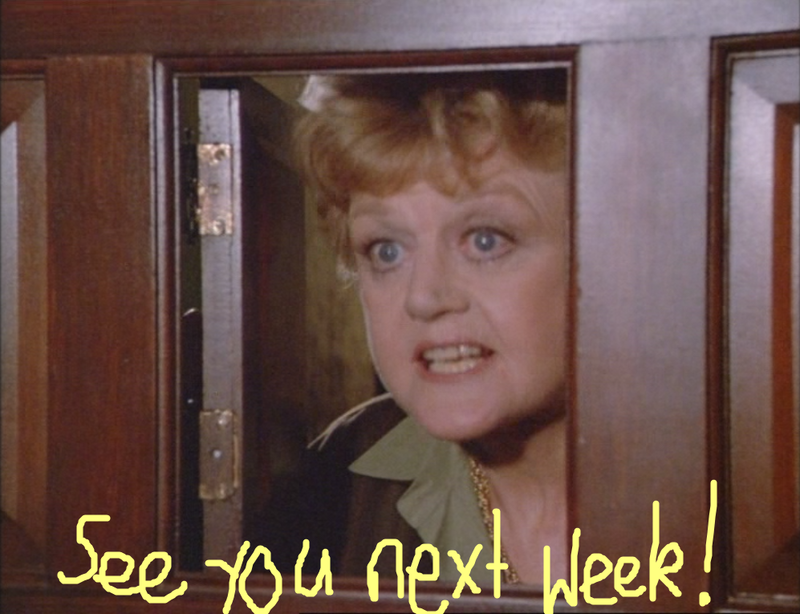 Stay tuned next week for the Epic Murder She Blogged Tweetathon Part The First, where I will be live-tweeting The Celtic Riddle. If you would like to tweet along, just use the hashtag #celticriddle so I can see you all fall down the rabbit hole with me. I may even put the highlights up here once I’ve sufficiently recovered.